via: http://www.doctormacro.com/Movie%20curriesummaries/A /All%20Through%20the%20Night.htm Unless otherwise noted, all images are my own. If you’ve been searching for a comic-thriller about a bunch of New York wise guys taking down a Nazi sleeper cell, get excited! All Through The Night is that film. As an added bonus, it stars a collection of actors who would go on to make a much more famous WWII drama, Casablanca (1943). 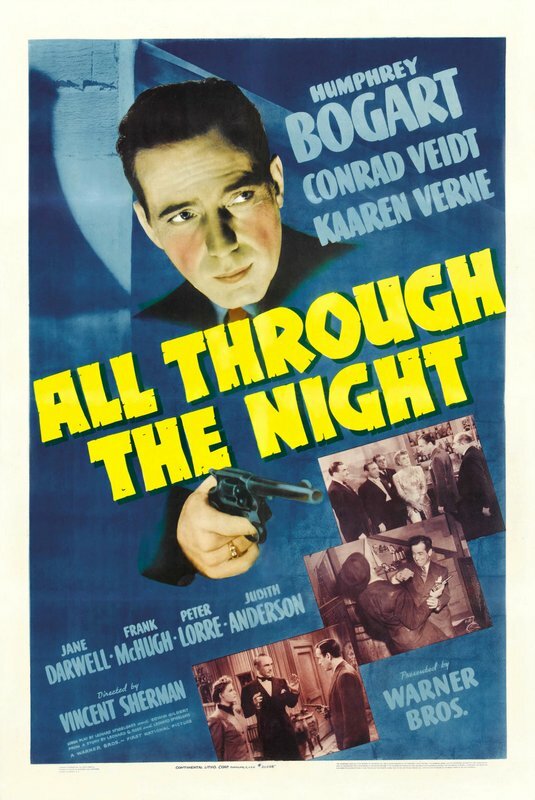 All Through The Night is an odd combination of slapstick comedy and serious anti-Nazi film, with more than a hint of propaganda aimed at raising awareness of the Nazi threat and combating isolationist policies. It was in production in August through October 1941, crucially before Pearl Harbor was attacked on December 7. The film was released in January 1942, but its pre-Pearl Harbor attitude is very evident. It’s strange to watch it today–we know what is coming but the movie doesn’t, so its strident warnings against Hitler and calls for the American people to wake up seem weirdly naive and obvious, and extremely dated. 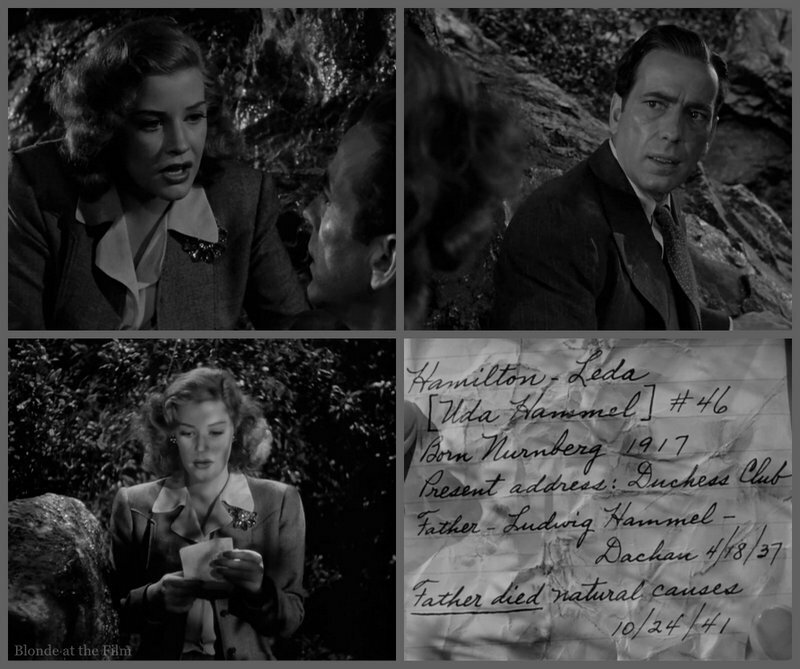 It reminds me of Hitchcock’s Foreign Correspondent (1940), which is packed with similar warnings of Axis plans and urgent pleas for the world to realize the danger before it is too late. 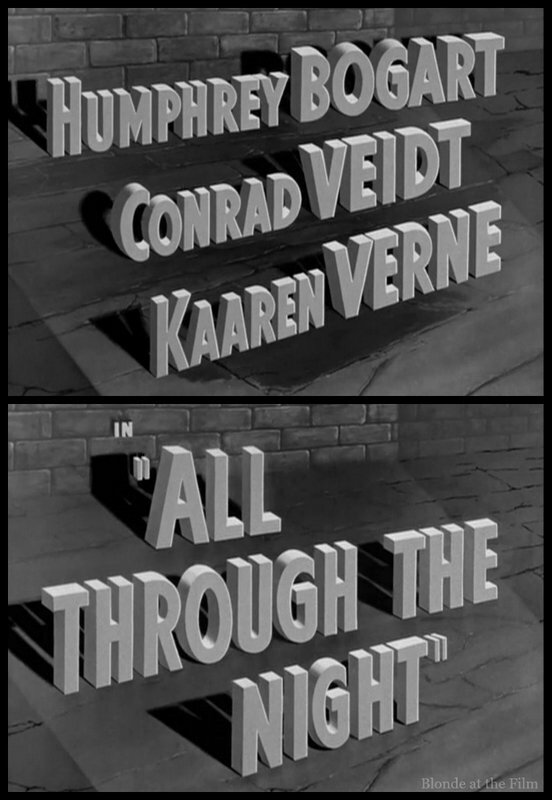 Although films like this can be disconcerting to watch (especially the Nazi-centered comedy in All Through The Night), they are fascinating reminders that even things we take for granted, such as Hitler=evil, and of-course-America-got-involved-in-WWII, weren’t always so clear, even as late as the fall of 1941. What appears entirely inevitable to us as we look back often didn’t feel as destined to those living it. So try to put aside the “condescension of the present” and imagine it’s the summer of 1941. 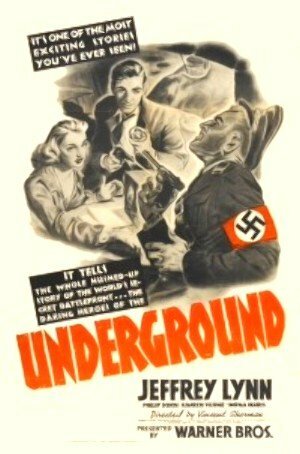 In June of that year, Warner Bros. released Underground (1941), a dark drama set in Berlin. Producer Hal Wallis admitted the film was anti-Nazi “propaganda,” but that wasn’t surprising coming from that studio. Thanks to its prescient leaders Jack and Harry Warner, Warner Bros. came out as anti-Nazi very early, and the studio was not shy about making films warning of Fascism and Hitler’s rise. 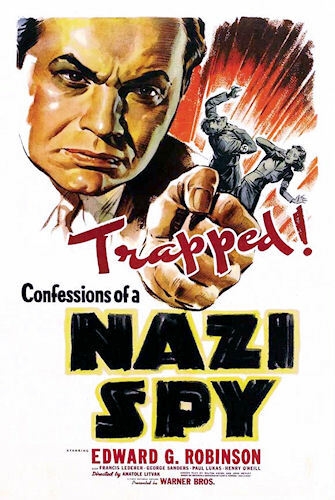 Confessions of a Nazi Spy was banned in Germany, Japan, and some South American and European countries, and even earned censure from the US State Department and the Production Code Administration for being too explicitly anti-Fascist and potentially inflammatory. As wild as it may seem today, after Confessions was released, the PCA even issued a ruling banning anti-Nazi sentiment in Hollywood films. The PCA’s job was to monitor and often censor content to ensure maximum profits for Hollywood, so a movie being banned was a terrible result from their end. 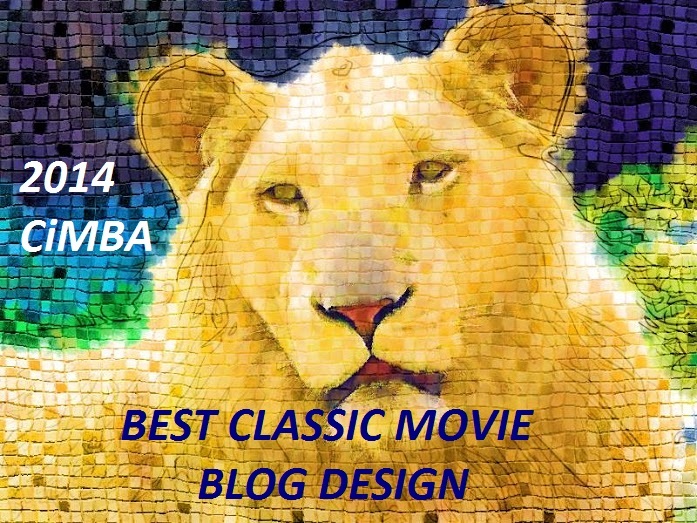 (You can read more about the PCA here.) Unsurprisingly, the anti-Nazi rule was lifted in 1941–suddenly it was completely acceptable to make anti-Fascist films! In another odd twist, after the war, Warner Bros.’ early anti-Fascism got the studio in trouble with the House Un-American Activities Committee. 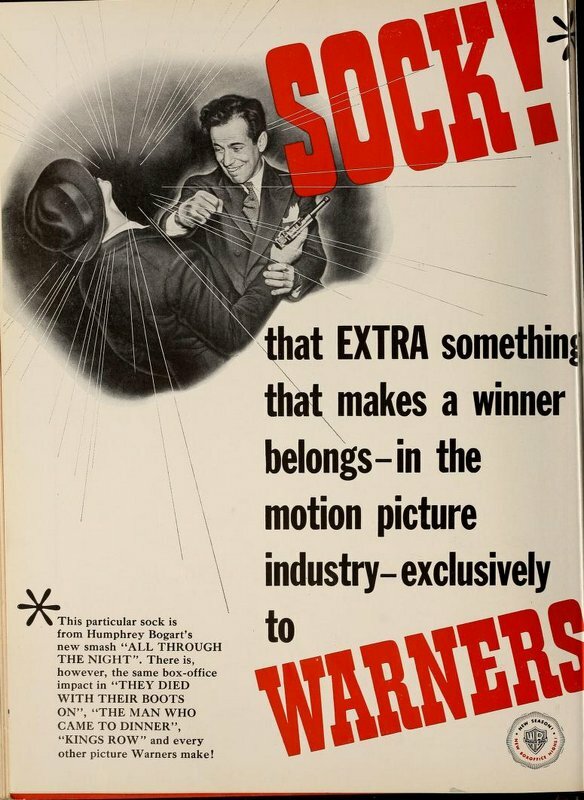 HUAC thought that the anti-Nazi, anti-Fascist messages in some of Warner’s (and other studios’) films were evidence of pro-Communist leanings. Apparently there was a very narrow window of time and a precise level of intensity for anti-Fascist feelings, and if a studio or an individual espoused such beliefs too early, too late, too stridently, or too lazily, they were in trouble. They could be accused of being too-anti-Fascist (Communist) or not anti-Fascist enough (Nazi sympathizer or just un-American.) You can read more about the Hollywood-focused HUAC hearings here. Anyway, back to Underground and Warner Bros.’ anti-Fascist efforts. Underground was directed by relative newcomer Vincent Sherman, and bombed at the box office. But Warner Bros. wasn’t discouraged, and almost immediately went into production on what Wallis called a “companion piece” to Underground, All Through The Night. 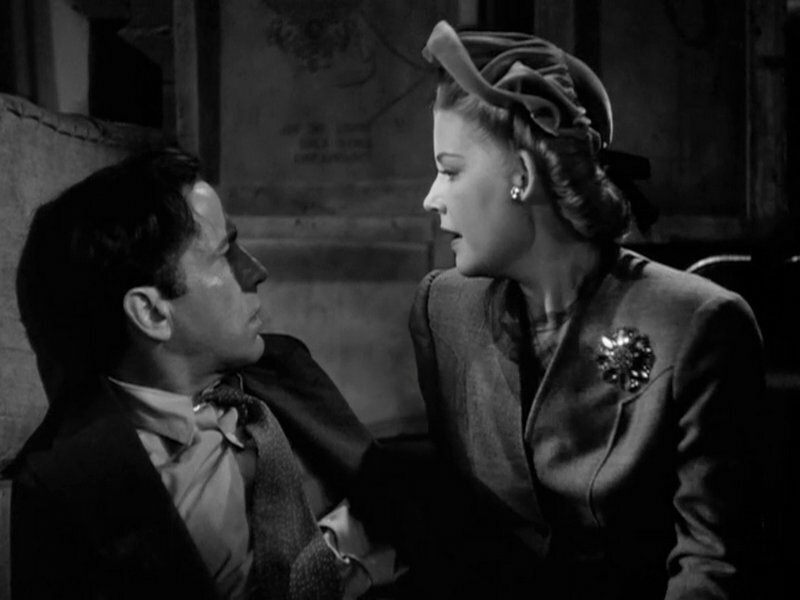 Also directed by Sherman, this film had a bigger budget ($600,000 when the average A-film was made for about $500,000) and starred Humphrey Bogart and Underground‘s leading lady, Kaaren Verne. As surprising as it may seem today, Bogart was not the first choice for the role. 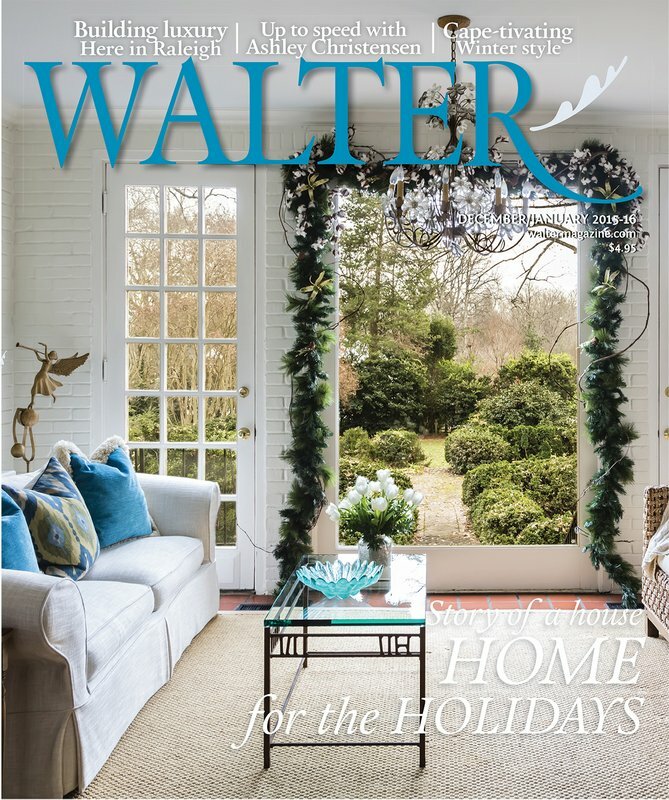 Oddly enough, Wallis wanted columnist Walter Winchell to play the part, convinced that the publicity of such a choice would make up for Winchell’s acting. 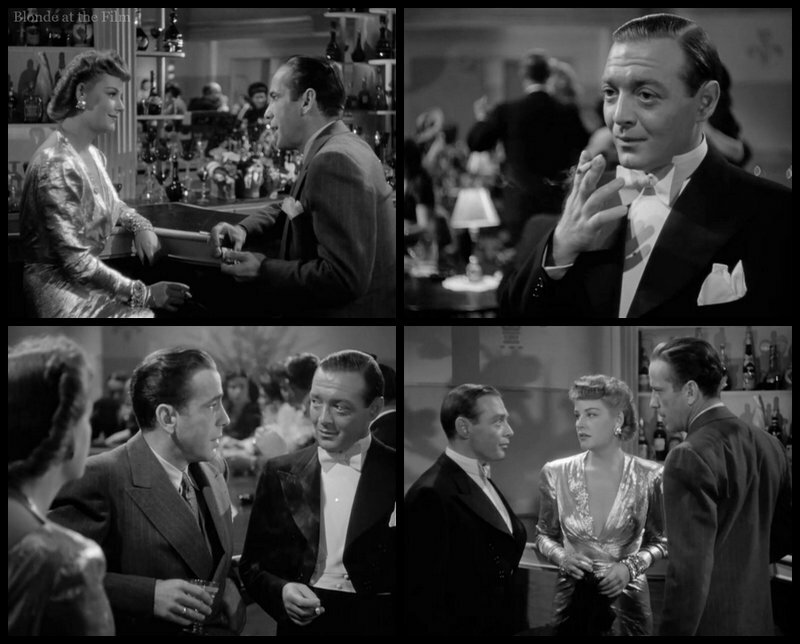 After Winchell turned it down because he couldn’t take eight weeks off from his day job, the part was offered to George Raft. But Raft only added to his incredible reputation for passing on good roles, and the part went to Bogart. 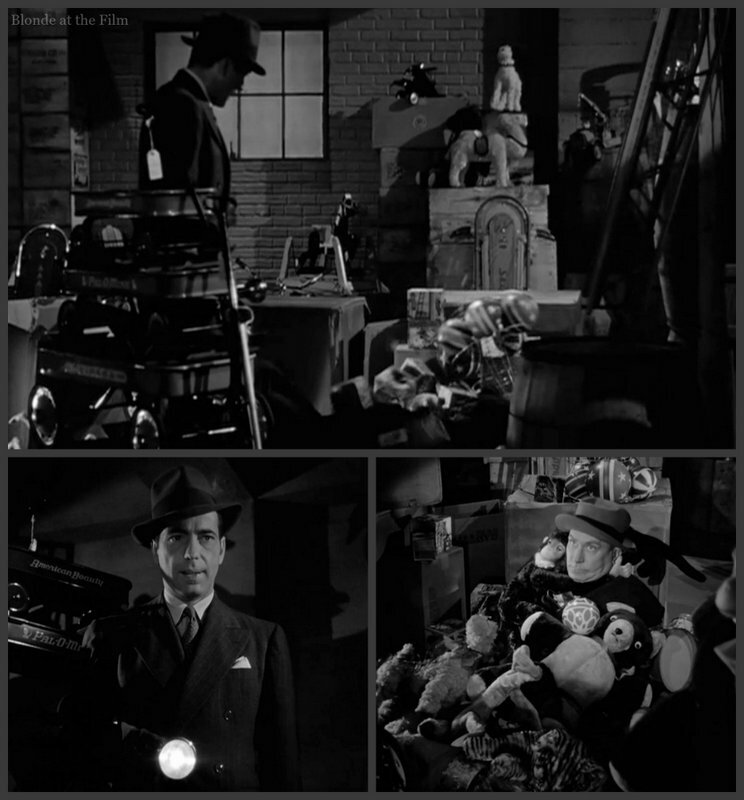 Fun fact: among Raft’s discards are the leads in The Maltese Falcon (1941), High Sierra (1941), and Double Indemnity (1944). In fact, Bogart owes his breakout roles to Raft’s picky and often poor judgment. 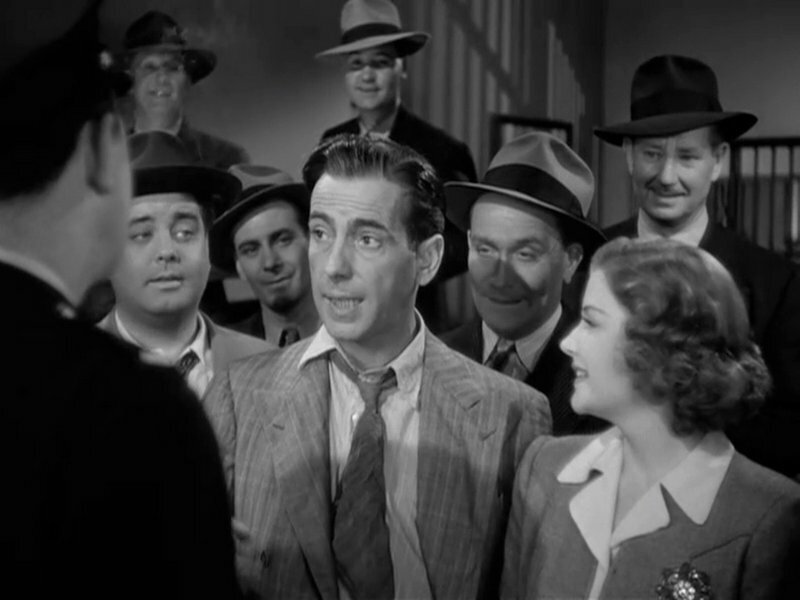 When he made All Through The Night, Bogart was not yet the enormous star that he would become. In fact, he had only recently graduated from playing villains in B-movies and small parts in A-films, such as his horribly miscast turn as a Mexican bandit in Virginia City (1940) and his role as the Irish horse trainer in Dark Victory (1939). 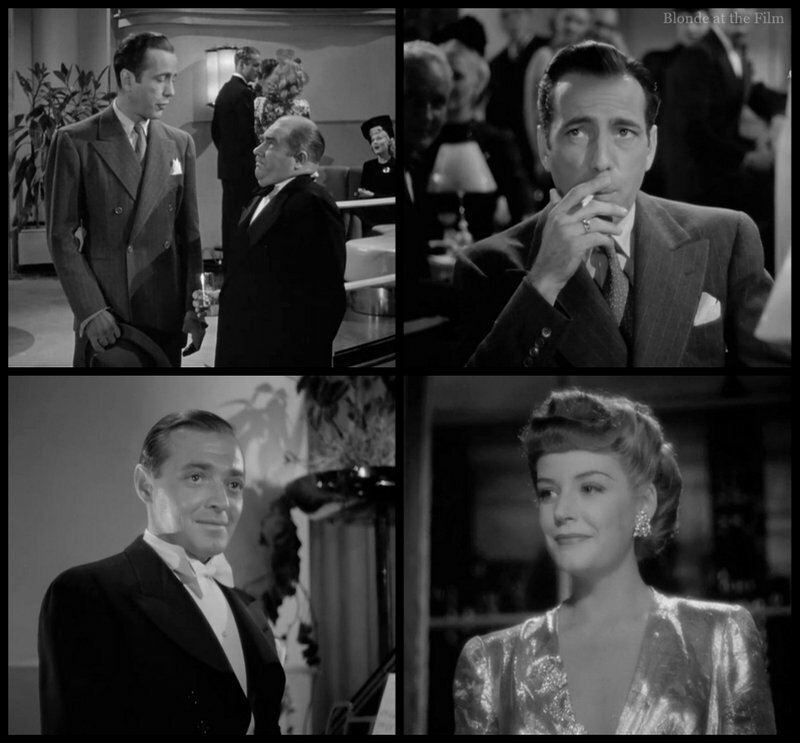 Bogart had found success as a leading man in The Maltese Falcon (1941) and High Sierra (1941), (thanks to Raft’s refusals), but it would be Casablanca that shot him to immortal stardom. Kaaren Verne was cast as Bogart’s love interest. Verne was German-born but had fled the Nazis in 1938, landing first in England and then coming to Hollywood where she was given the stage name Catherine Young in order to minimize her “German-ness.” But as war loomed ever closer, Warner Bros. decided to capitalize on Verne’s heritage and her compelling backstory of fleeing the Nazis, so she was re-christened Kaaren Verne. Like Verne, most of the German actors in this movie and in other Hollywood films in the 1930s and 1940s had come to Hollywood after fleeing Nazi rule. Ironically, most of them spent the war years playing Nazis in Hollywood movies! 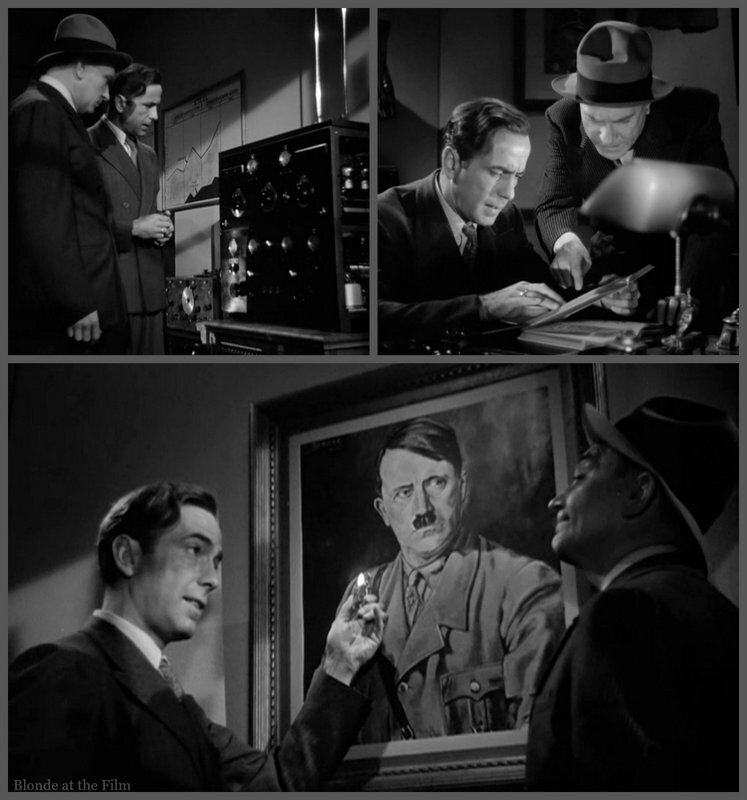 For example, Warner Bros. borrowed Conrad Veidt (Major Strasser from Casablanca), from MGM and cast him as a Nazi spy. Veidt had enjoyed a very successful career in German film (he played Cesare in the classic The Cabinet of Dr. Caligari (1920)), but he left Germany in 1933 shortly after marrying a Jewish woman. Peter Lorre, who plays Veidt’s murderous henchman, had also been a star in Germany (with his most memorable role in the horrifying 1931 classic M), but the Hungarian-born actor was Jewish, and he left Germany in 1933. Lorre came to Hollywood and played Mr. Moto in a series of B-movies at 20th Century Fox before coming to Warner Bros. and appearing in several films with Bogart, including The Maltese Falcon and Casablanca. Fun fact: Lorre and Verne met and fell in love while making this movie. After Lorre divorced his first wife, he and Verne were married in 1945. They divorced in 1950, and both married other people, but after Lorre died in 1964, Verne and her husband James Powers adopted Lorre’s daughter from his third marriage. To the film! We open at a New York restaurant where a bunch of wise guys are using toy soldiers to debate the British strategy against the Nazis. Of course they have all the answers! You might recognize character actor William Demarest who plays Bogart’s right hand man Sunshine. He was a member of Preston Sturges‘ unofficial stock company, and can be seen in Hands Across the Table, Easy Living, Sullivan’s Travels, The Palm Beach Story, The Lady Eve, and dozens of other films from the 1930s-1970s. So Sherman asked the two young comedians to come in for an audition. 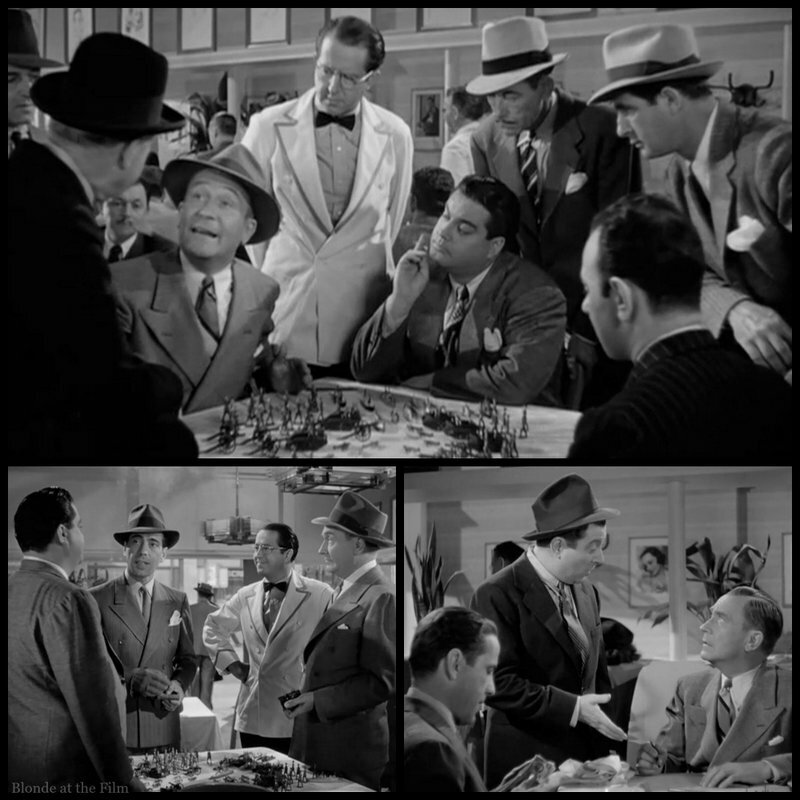 Sherman remembered that “Gleason brought in a page of funny lines and Silvers, nine pages of jokes.” Sherman cast Silvers as the waiter, and Gleason as one of Bogart’s henchmen. 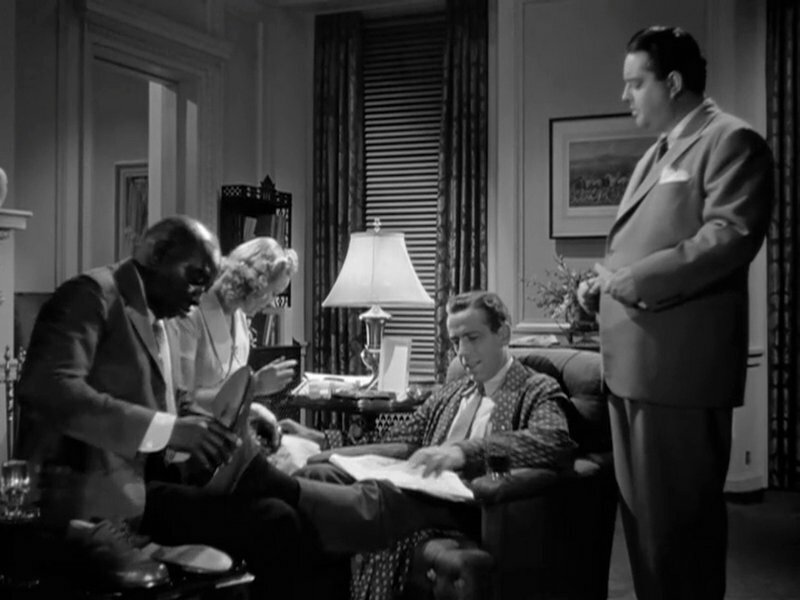 “Gloves” Donahue (Humphrey Bogart) soon joins the group, and we learn immediately that he is the big boss of this motley crew. 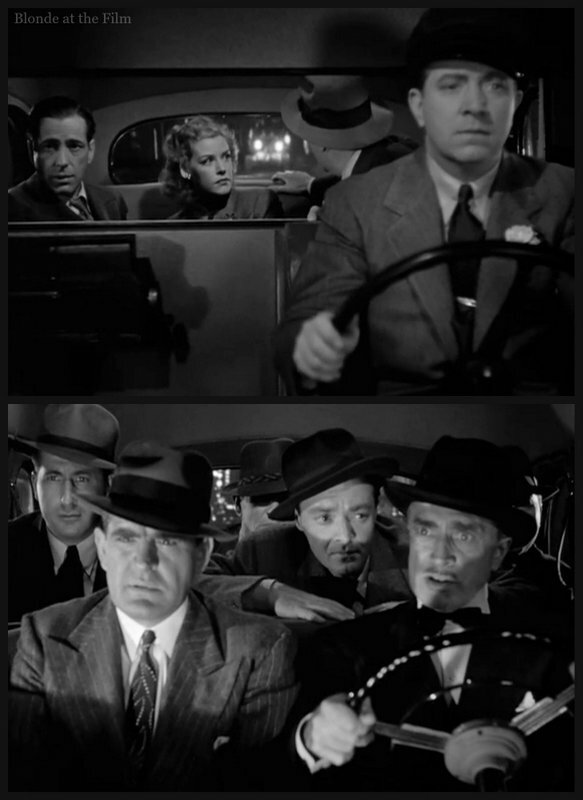 A gangster-turned-slightly-more-respectable promoter and gambler, Gloves rolls off the bets he wants Sunshine and his driver Barney (Frank McHugh) to place for him. He drops five and ten grand on horses and boxers like it’s nothing while he waits for his standing order of cheesecake and coffee. 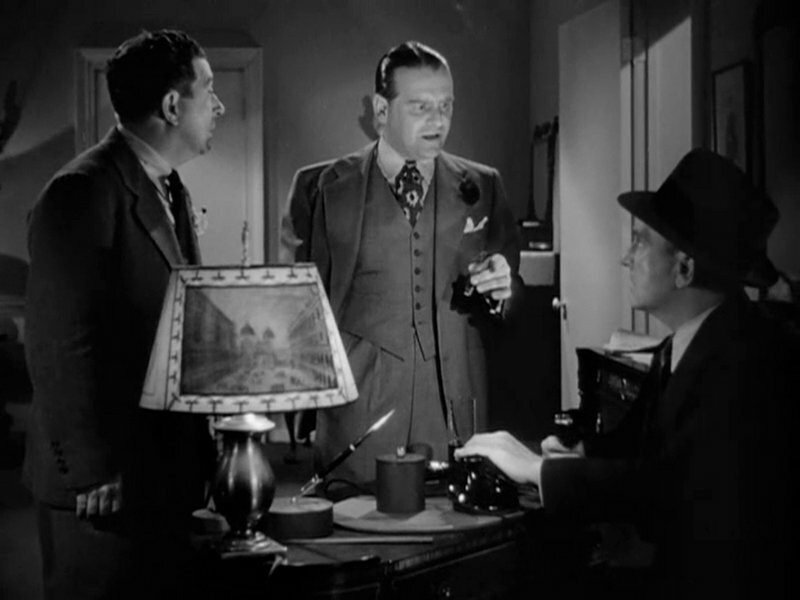 As these men chat, amazing 1940s slang flies fast and furious. The movie is packed with it. Some of my favorites include: date with a doll, old lady for “mother,” dame, knock him off, sister as a direct form of address for any woman, keep ‘em on ice, for “make them stay put,” and scratch for money. We also get classics like murder rap, beef for “an issue,” dogs for “feet” and mugs for “men.” It’s terribly dated but delightful. Anyway, Silvers brings Gloves his cheesecake and coffee, but he’s nervous because it isn’t the cheesecake from Miller’s Bakery, Gloves’ favorite. Mr. Miller hasn’t made his usual delivery yet, so they are fresh out! But Gloves knows immediately that the slop he’s been served is not Miller’s cheesecake, and he’s not pleased. Gloves is so powerful that he makes all of the restaurants he visits order Miller’s cheesecake just for him, and he doesn’t like being disappointed. 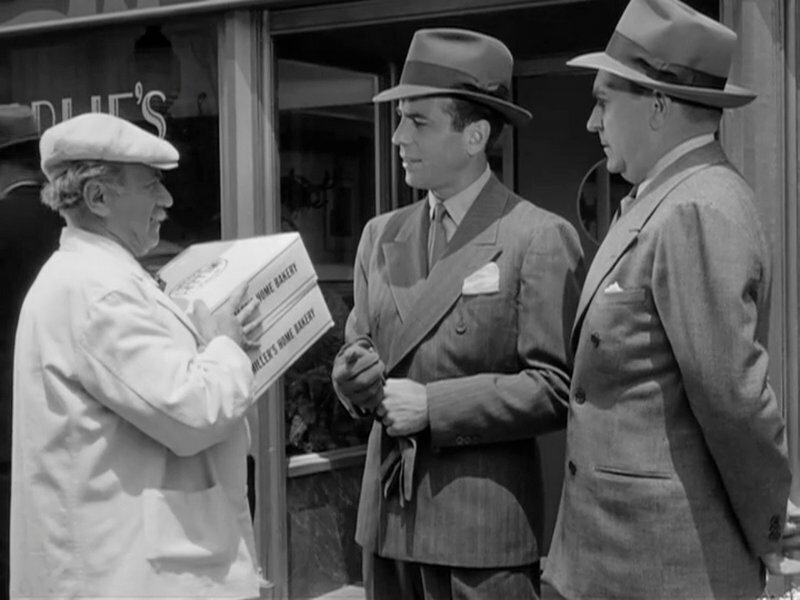 As they leave the restaurant, Gloves runs into the baker Mr. Miller (Ludwig Stossel), a German immigrant who lives next door to Gloves’ mother in the “old neighborhood.” Mr. Miller seems anxious, but he insists that everything is alright and apologizes for his late delivery. Gloves heads to Yankee Stadium for the day’s betting. Meanwhile, we follow Mr. Miller back to his shop. His wife leaves to make a delivery, and as soon as Mr. Miller is alone, this creepy character walks in. It’s Pepi (Peter Lorre), and he’s come for some information. We don’t know what’s going on, but it seems that Pepi has been forcing Mr. Miller to spy at the docks. But Mr. Miller is through with whatever nasty business Pepi is running. The baker bravely tells Pepi that he’s not going to work for him anymore, and he’s going to tell the world about the plot! Bad move, Mr. Miller. Pepi pushes him down the stairs and advances slowly and horribly with his gun. Shots are fired as the scene dissolves to the spinning wheels of Gloves’ car. We follow Gloves’ car to Miller’s Bakery. Gloves’ mother, who lives next door, called her son and asked him to come over right away. He obliges, pulling up in his big fancy car in this humble neighborhood. Mrs. Miller and Mrs. Donahue are distraught because Mr. Miller has disappeared! Gloves and Sunshine take a look around, and a cat helps them discover Mr. Miller’s body hidden in the basement. 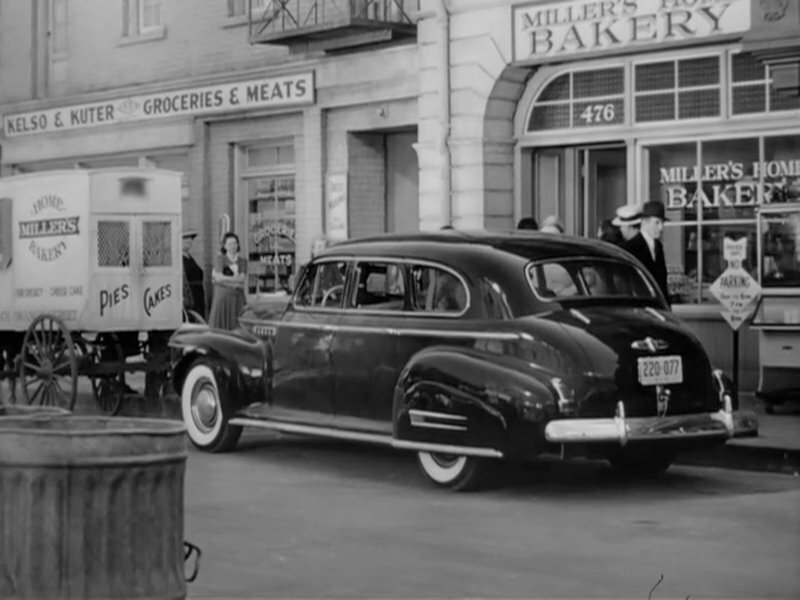 While the police have a look around, a woman (Kaaren Verne) shows up and asks for Mr. Miller. She has a German accent, she refuses to tell Gloves why she wants to see the baker, and she disappears when he turns away for a moment. Something is up! Mrs. Donahue is played by Jane Darwell, who is most famous for her potrayal of Ma Joad in The Grapes of Wrath (1940). She speaks in an Irish accent in this film, and I would not be at all surprised if Warner Bros. made an extra effort to emphasize the happy “melting pot” of America where immigrants from all over can thrive as neighbors and find wild success as Gloves did versus the racial purity of the Nazis. But Mrs. Donahue is on the case! She arrives at Gloves’ luxurious apartment to announce that she has found the woman. She’s a singer at the Duchess Club, and Mrs. Donahue wants to go talk to her right away. They arrive to find the woman singing “All Through The Night,” a Johnny Mercer-Arthur Schwartz standard. Title, check. Gloves sends his mother home and starts his own investigation. Things get extra complicated because Gloves’ rival, Callahan (Barton MacLane, General Peterson from I Dream of Jeannie) owns the Duchess Club, and he doesn’t like Gloves poking around. Joe, that little balding gent, is sent over to throw Gloves out, but of course it doesn’t work. You can’t intimidate Gloves. 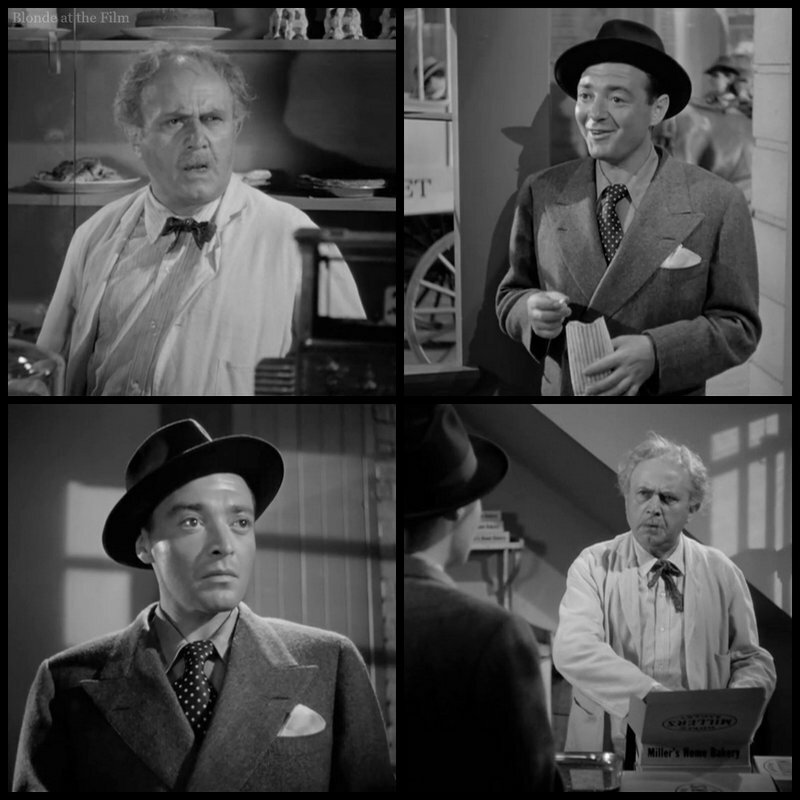 Fun fact: Joe is played by Edward Brophy, whom you may recognize from The Thin Man. Brophy also voiced Timothy Mouse in Dumbo (1941)! As Gloves smokes, drinks, and watches, we notice Pepi playing the piano. He’s a talented musician who kills bakers purely as a hobby. After the woman’s song is over, Gloves settles in for a chat. He learns that her name is Leda Hamilton, and she seems like a lovely lady who is genuinely upset about Mr. Miller’s murder. Fun fact: Olivia de Havilland and even Marlene Dietrich were apparently considered for the role of Leda. But before Gloves can get anything out of her, Pepi and his pals drag her away. Fun fact: some colorized shots of Bogart from this scene in the club were used in a 1991 Diet Coke commercial starring Elton John! Look for James Cagney and Louis Armstrong, too. Anyway, Leda is taken into a back office–the door closes and we hear a gun shot! You can watch the scene here. Gloves runs for it, but as the camera pulls back we see that a glove has been left behind…uh oh. Gloves tracks down the taxi that whisked Leda away, but as they talk to the dispatcher, a news bulletin pours from the radio announcing that Gloves is the prime suspect in Joe’s murder. That will make things quite a bit more difficult for Mr. Donahue. Gloves, Sunshine, and Barney track the cab to a warehouse filled with children’s toys. Sunshine and Gloves head inside, though Sunshine is comically terrible at sneaking around. He keeps loudly tripping over things, and he eventually slips on a roller skate and ends up on the floor covered in toys. They have definitely lost the element of surprise. I love how the monkey toy is hugging Sunshine’s neck! This scene is a perfect example of the varied tone of this film. It’s a murder mystery-thriller about a Nazi plot, but interspersed with the drama are comic, even slapstick moments. Besides the physical comedy, there are several other jokes packed into the film. For example, Gloves and his valet have an amusing exchange about the valet wearing Gloves clothes, Sunshine keeps complaining about Gloves’ meddlesome mother, and there is a running gag about Barney’s quickie marriage that afternoon and how he is desperate to get back to his wife. He says things like, “The fleet’s in, and she’s defense minded!” to try to get time off to visit her, and he constantly bemoans the fact that he is missing his honeymoon. At one point she appears long enough for a kiss, but Barney is whisked away to go hunt down some Nazis! The New York Times critic described All Through The Night‘s mix of drama and comedy as “melodramatic kidding,” which sums it up pretty well. The slapstick and other comedic elements seem very out of place in a Nazi movie. It reminds me of a Mel Brooks film or something–like in The Producers when the musical is “Springtime for Hitler!” But it’s weird to see jokes and goofy moments in a 1942 film about the Nazis…more about that later. 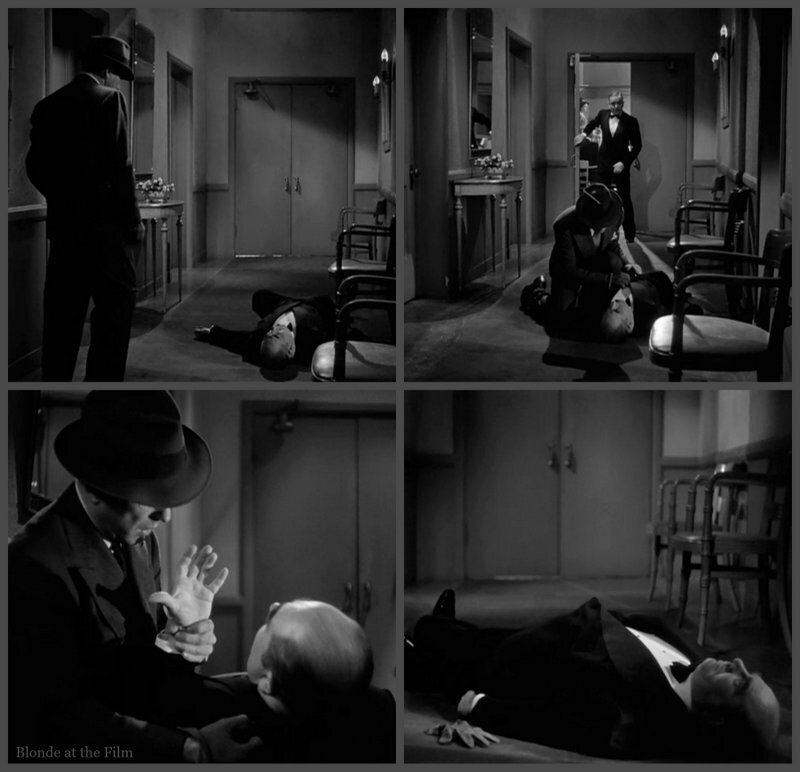 Anyway, right after Sunshine’s memorable fall, a man comes up behind him and drags him away without Gloves’ noticing. (We’ve gone from silly slapstick right back to drama.) Gloves searches the dark warehouse and seems particularly interested in an empty freight elevator that ominously and inexplicably goes up and down, up and down, but he can’t find his pal. While Gloves looks for Sunshine, a bad guy is stalking him. 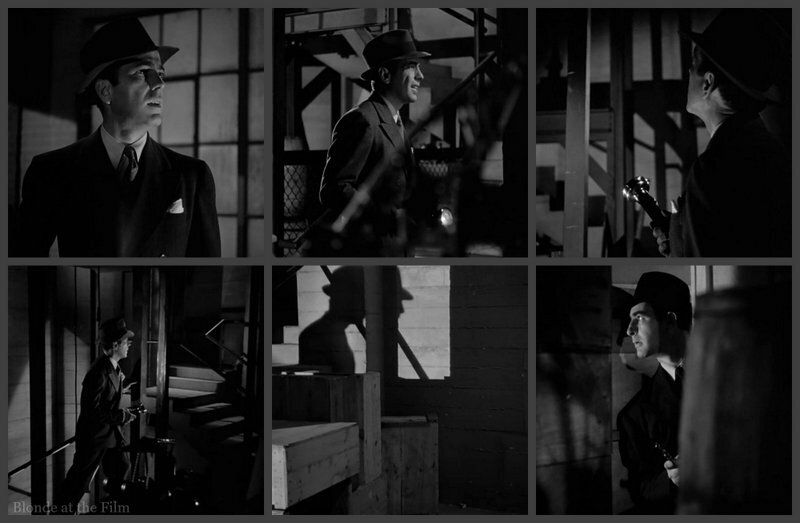 More noir lighting! The cat and mouse game ends in a spectacular fight. Gloves’ foe plummets to his death down the elevator shaft. 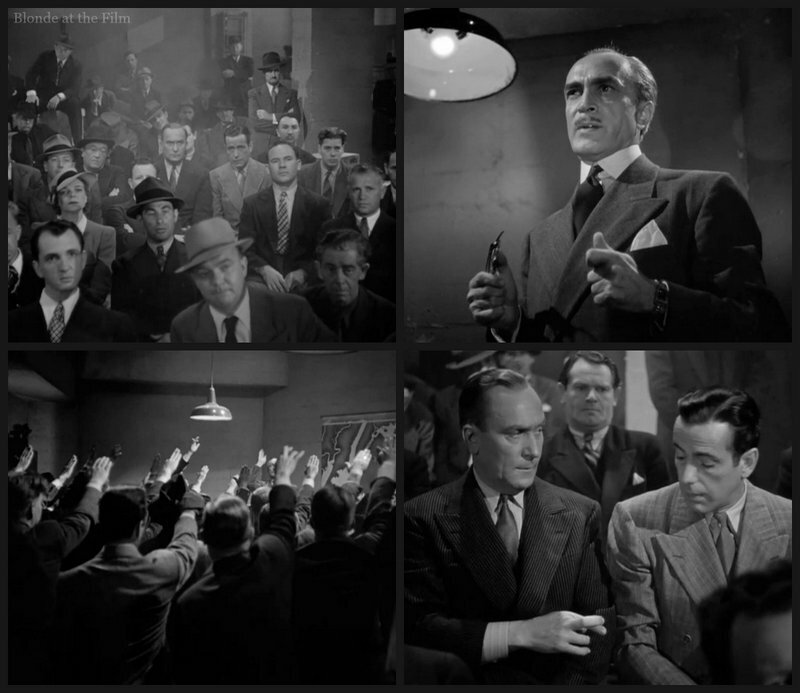 The fight reminds me of the windmill sequence in Foreign Correspondent (1940). 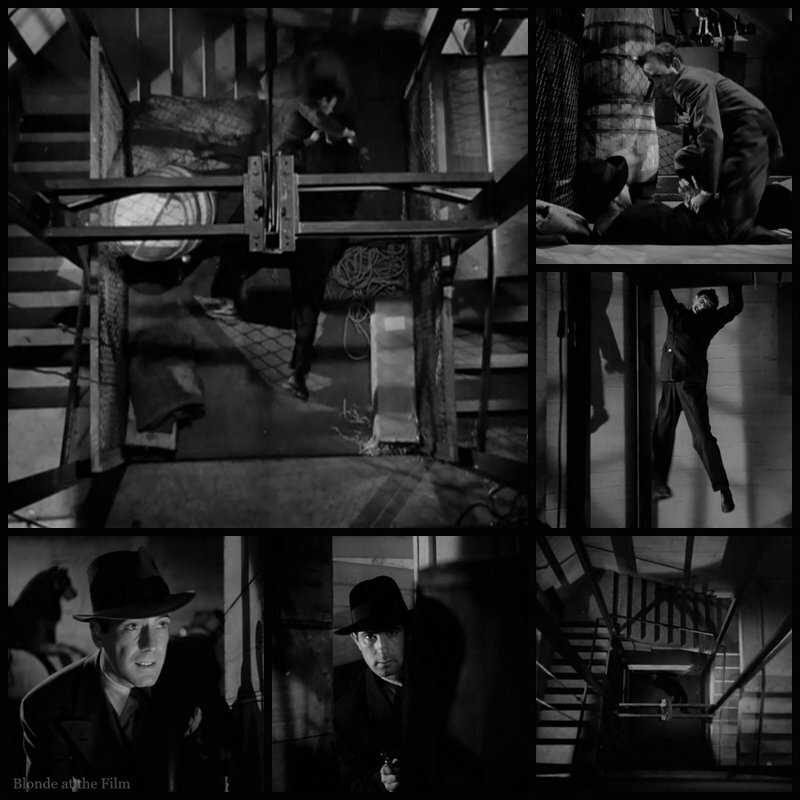 That scene also features overhead shots, staircases, and moving machinery that almost crushes the characters. Besides this set piece, that movie shares that similar “melodramatic kidding” tone, too. Comic interludes (McCrea‘s missing hat, a sudden romance blossoming while they chase an assassin, lighthearted banter between torture scenes, etc.,) somewhat unnervingly pop up between very serious moments. Movies made after the United States entered the war lose that comedy pretty quickly. As you can imagine, it was hard to laugh at the Axis once the war began in earnest in this country. Anyway, Gloves emerges, battered but victorious, and rejoins Barney. But where is Sunshine? They realize that the freight elevator must connect to a neighboring building. So they stroll around until they stumble into an auction run by Franz Ebbing (Conrad Veidt). His able assistant in the shimmering black dress is Madame, played by the terrifying Judith Anderson. 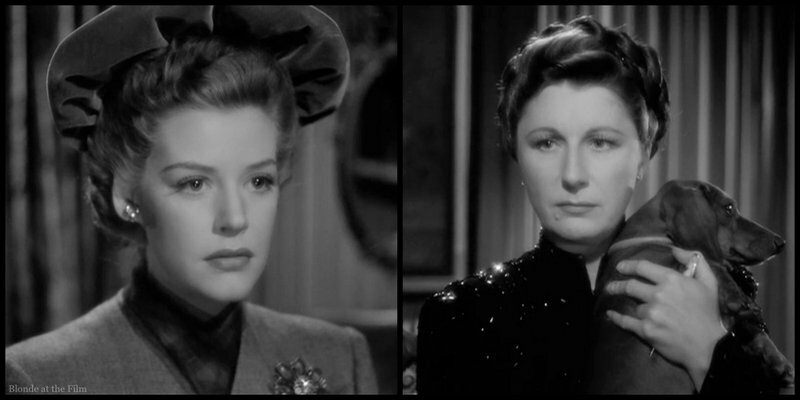 Anderson had recently performed the most memorable role of her career, that of the evil housekeeper Mrs. Danvers in Hitchcock’s Rebecca (1940). She retains all of her smooth cruelty in this movie. Pepi notices Gloves and Barney in the crowd and alerts Madame and Ebbing. They spring into action. Fun fact: the auction scene is reminiscent of the scene in North by Northwest (1959), though All Through The Night‘s auction is less important to the plot. When Gloves worms his way into the back room, they are ready. In the midst of the standoff, Leda emerges from a secret passageway. Gloves thinks he is rescuing her, but when he turns his back on her she knocks him unconscious. Pretty Miss Hamilton is not the innocent victim we thought she was. You can watch the scene here. We learn that Leda’s father is a prisoner of the Nazis in Germany, and that they will kill him if Leda doesn’t cooperate. Ebbing is certain that Leda won’t risk her father’s life, but Madame has her doubts. She doesn’t trust Leda. 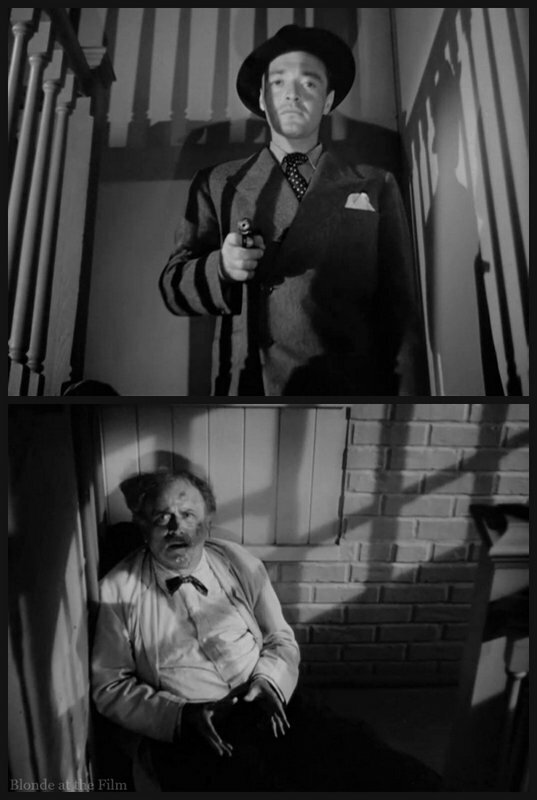 Fun fact: both Anderson and Verne were also filming the period drama Kings Row (1942) while they made this movie. Anderson was especially busy, and sometimes had to hurry between sound stages during the day to film her scenes in both movies. Despite the threats and the evil implicit in Madame’s carefully orchestrated dog caresses, Leda makes a decision. She finds Gloves and helps undo his bonds. Then she scurries away. Thanks to Leda’s intervention, Gloves and Sunshine are able to overpower their guards. They sneak around the auction house to figure out what the hell is going on. Quite quickly and easily they find a room plastered with maps and charts and stocked with powerful radios. They find records of the group’s most recent acts of sabotage, and ledgers with the names of the conspirators and assets. In an unintentionally chilling moment, Gloves reads that Leda’s father is being held in Dachau, only he pronounces it “Datch-ow” because it wasn’t yet notorious. Gloves realizes that when Joe held up his hand as he died he was trying to tell Gloves that the people responsible were “Fifth Columnists.” The term “fifth column” was first used in the Spanish Civil War in the 1930s when a Nationalist General said that he had four columns of troops marching on a city, and a fifth column of supporters already inside working to disrupt the enemy. 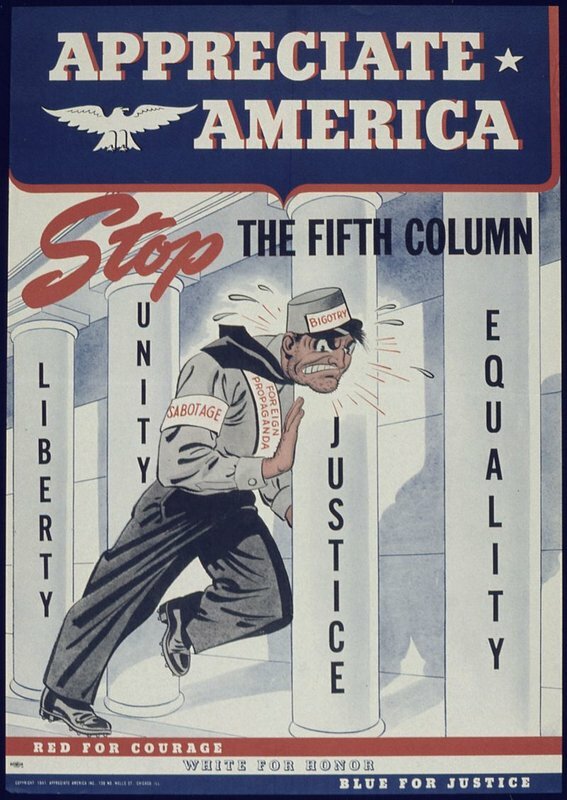 The “fifth column” thus became shorthand for a collection of people seeking to undermine the larger group from the inside. In the late 1930s and early 1940s in the United States, the term came to mean Nazis working against America from within its borders. There was widespread fear of Nazi fifth columnists; in June 1940, Life Magazine ran a collection of photographs with the title “Signs of Nazi Fifth Column Everywhere,” and similar articles weren’t uncommon. So when Gloves and Sunshine throw around the term “fifth column,” it’s a safe bet that audiences in 1942 would have understood what they meant. Anyway, now Gloves knows that he is dealing with a group of Nazis. And he’s mad about it. Rather than quietly escape and get help, though, he bursts into Ebbing’s office. He’s a good old American ganster and he is going to take care of this himself! Ebbing tries to reason with Gloves, telling him that they aren’t so different after all. But in a not-so-subtle moment of ra-ra-America, Gloves tells Ebbing that they are nothing alike; although he may not be a model citizen, he still believes in democracy and freedom. Subtext: America may not be perfect, but it’s better than Nazi Germany! Despite Gloves’ rousing speech and his gun, Ebbing escapes. Gloves, Leda, Sunshine and Barney take off, but the fifth columnists give good chase. There is a car crash, and Leda and Gloves flee through the woods of Central Park. In an oddly calm moment in the midst of all of this danger, Leda explains to Gloves that she doesn’t want to help Ebbing, but the Nazis will kill her father if she doesn’t do what they ask. Then she sees the page about her that Gloves ripped from the ledger he found. It says that her father died in Dachau on October 24, 1941. Leda recovers astonishingly quickly after such horrible news, and comes completely over to Gloves’ side. There is nothing holding her to Ebbing now! This is very fortunate because Gloves has a crush on her. The pair make it out of Central Park and summon the police, capitalizing on Gloves’ status as a fugitive murder suspect. But Ebbing finds them first, though he’s forced to retreat when the police finally do show up to capture Gloves. Everything should be fine now, right? Of course not! Naturally, the bumbling police think that Gloves is making the whole thing up. And in another now-cliche, when Gloves takes them to the warehouse, the whole place has been emptied. There is nothing to suggest a fifth column plot. Even the button that operates Leda’s secret passageway has been removed. 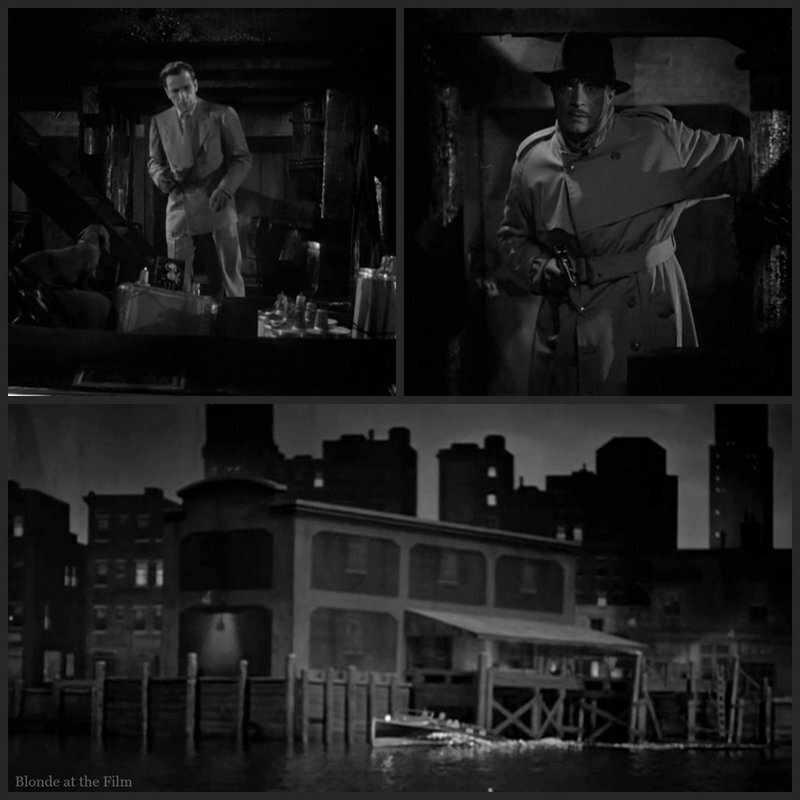 The police are about to arrest Gloves for the murder of Joe when he escapes and runs off into the night. He’s determined to prove his innocence and stop the Nazis himself! Meanwhile, Gloves’ gang waits in his apartment next to a pretty lamp decorated with what appears to be a painting of Venice. They may be tough, but they appreciate the nice things in life. He’s a bit worse for wear, but miraculously recovers and puts on a fresh suit. He’s back in action! And good thing, too, because Callahan breaks down his door. He wants to take Gloves to the police, and he doesn’t seem interested when Gloves tells him that he needs his help defeating the Nazi group. Callahan callously declares that he doesn’t really care if the Nazis take over as long as they stay out of his way. He has been dealing with the US government for years, and surely the Nazis would just be more of the same. But Gloves says that the Nazis won’t stay out of Callahan’s way; they want to control everything and everyone down to the smallest detail, and they want to take away America’s freedoms. “But that’s against the law!” says Callahan. “It’s unconstitutional!” exclaims Mrs. Donahue. You can easily see the kind of response that Warner Bros. was trying to elicit from the audience. Callahan is a handy stand-in for the American people, and Gloves is the patient but passionate wise man urging everyone to “Wake up! The Nazis are bad news and we’d better start paying attention!” Today, exchanges like this are unintentionally funny, (Callahan and Mrs. Donahue’s utter shock at hearing that Hitler would not respect American law is particularly amusing), and the scene seems awfully heavy-handed. But I wonder how it was received in 1942. Fortunately, Gloves’ speech convinces Callahan that he’d better rouse his guys to support Gloves’ takedown of the fifth columnists. 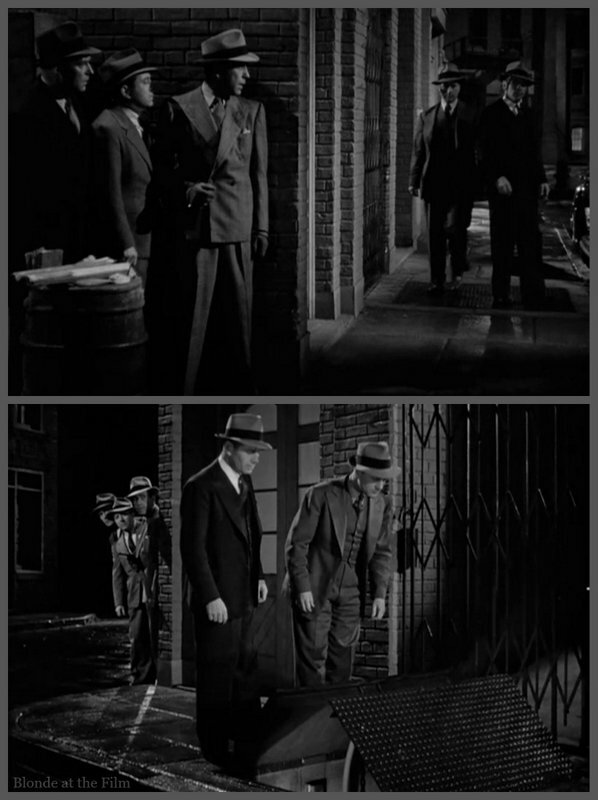 With the two gangs unified against the Nazis, Gloves, Sunshine and Barney make their way back to the warehouse district. They see two men open a secret entrance in the sidewalk, so they quickly knock them out before stealing their papers. Ebbing tells the assembled group about their plan for that night; it will be their biggest act of sabotage yet, though we still don’t get details. Of course there is lots of “heiling,” which Sunshine and Gloves have to participate in so they don’t blow their cover. Sunshine makes sure to keep his fingers crossed whenever he has to do the salute, though. Ebbing steps away and the second-in-command calls for the man whom Gloves is impersonating to give a status report (of course!). Gloves reluctantly makes his way to the stage, where he and Sunshine engage in faux-German double-talk to buy time until they can figure out what the Nazis are planning. Whenever Gloves needs a moment to think, he just says “Heil, Hitler!” and everyone else forgets whatever he was saying and jumps to their feet to join in. This is another joke that has become cliched, but it seems so weird to see in a movie from this time! Fun fact: this scene with all of its German-esque-nonsense was not in the original script. The director Vincent Sherman came up with it during filming and asked producer Hal Wallis if he could add it in. Wallis thought it was a terrible idea, but Sherman filmed it anyway. Wallis still hated it when he saw it onscreen, and he told Sherman to cut it. 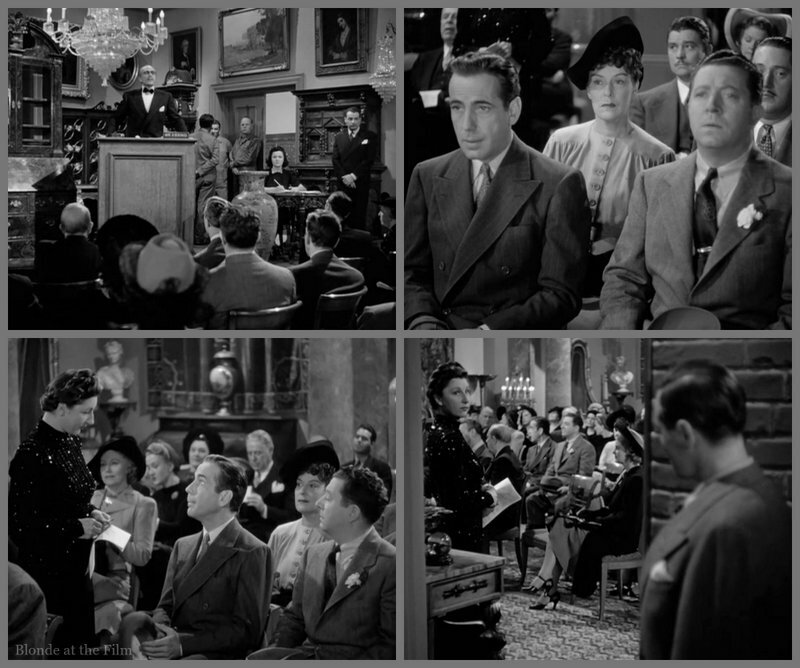 But he kept it in for a preview screening, and the audience loved the scene and laughed out loud at Bogart and Demarest’s fake German. So Wallis relented, and the scene is one of the highlights of the film. Gloves’ reckless scheme is working, and he even gets a copy of the plan to blow up a battleship that very night. But then Pepi wanders into the room. He runs back to Ebbing to tell him that Gloves has infiltrated their most secret meeting. Ebbing is pretty busy smacking Leda (who was released from police custody and promptly nabbed by Pepi), but he returns to the meeting to take care of that obnoxious American. Just as Ebbing is confronting Gloves, Callahan and Gloves’ men storm the room. It’s a good old-fashioned brawl, and of course the street-wise New Yorkers come out on top. One of my favorite moments is when Phil Silvers (the waiter from the first scene) hides in the corner and says “Heil?” to anyone who comes near him. If they respond with “Heil” and a raised salute, he knocks them on the head with a club. It’s a comic way to emphasize that the fifth columnists look and sound a lot like the good guys…be on guard, audience! Ebbing realizes that he has lost, but he still has the chance to carry out the battleship plan himself. He tells Leda, Pepi, and Madame that the meeting has been broken up, and when Pepi asks who did it, Leda jumps in with an impassioned cry of “The people! The people you despise so much! The people you said you would split into angry little groups! You can’t beat them, Ebbing!” Not subtle, but very stirring. Ebbing asks Pepi to come with him on the suicidal battleship mission, but when Pepi refuses, Ebbing shoots him. 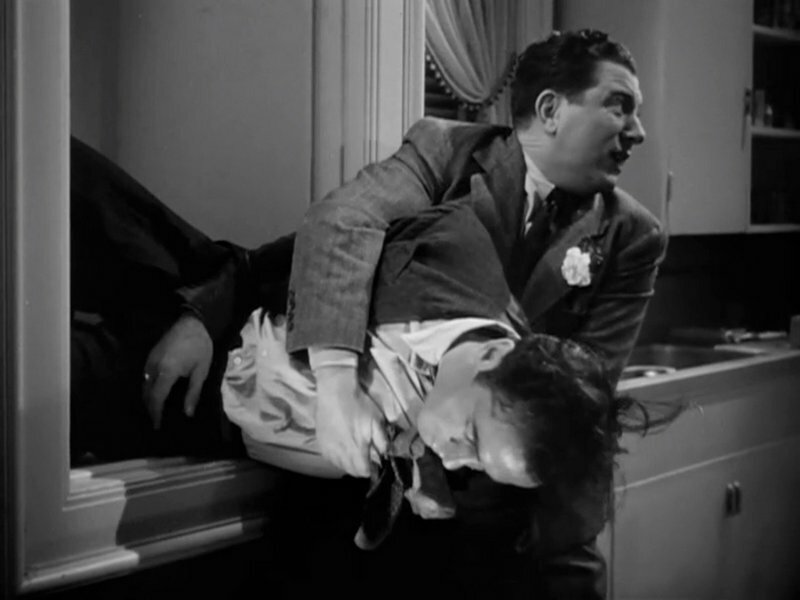 Pepi falls down the stairs in a fitting end that echoes his murder of Mr. Miller. The plan is to ram the small boat into the side of a battleship which is chugging through the harbor. I’m not sure what the original plan was that required dozens of people and lots of information (remember that Mr. Miller was gathering intelligence for the scheme, as were most of the people in the Nazi meeting), but this is pretty simple. It’s perfectly doable by just one maniac. Unfortunately, that one maniac has taken a hostage. More disturbing, though, is Ebbing’s decision to bring his dog along! He knows that he will most likely die in the attempt, so why sentence an innocent animal to death, too? 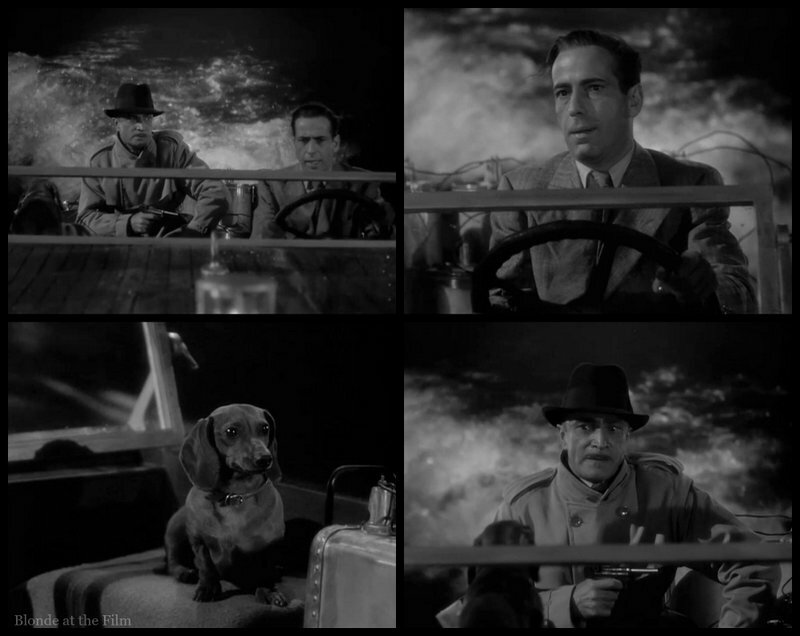 Ebbing even draws attention to the dog’s presence as he rambles on about his evil plan, and we get a shot of the teeny dachshund staring back at Ebbing as the boat zooms towards their death. Maybe the dog was included to show how utterly awful the Nazis are (they don’t even care about their loyal pets! ), but I find it almost absurdly, comically terrible. Anyway, Gloves pilots the boat straight towards the battleship, but at the last moment, he wrenches the craft away from the ship and hurls himself into the water. The boat careens across the bay and slams into a barge, killing Ebbing (and the dog!) in a fireball, but leaving the battleship unscathed. 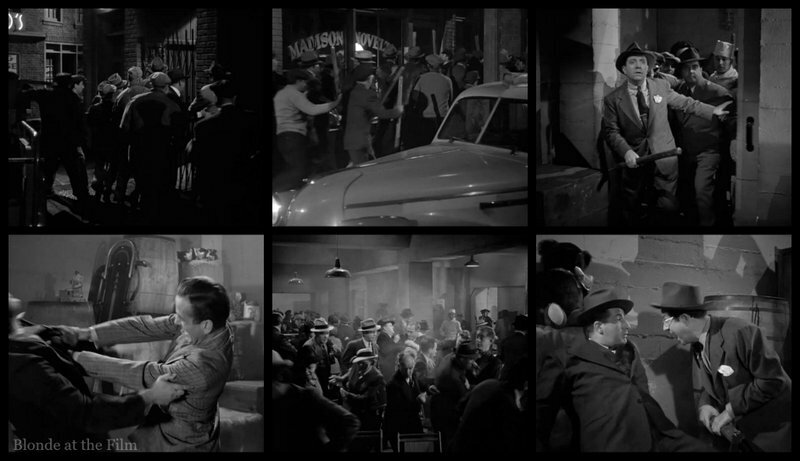 Cut to the police station, where Gloves, Leda, and the gang are receiving the thanks of a grateful city. Gloves is declared a hero, and officials and politicians are rushing to offer their congratulations. This movie has an appealing premise: isn’t it nice to think that a bunch of tough, everyday Americans can easily defeat a Nazi plot? And have such a great time doing it? Let it be said for the record that this is a pre-Pearl Harbor job, lest any one raise the objection that it plays too fast and loose with a subject much too serious for melodramatic kidding in these times. One would hate to think that an enemy plot of such elaborate magnitude as the one presented here should be so completely overlooked by our capable F. B. I., and that the responsibility for licking it should fall upon a semi-gangster. So don’t even let yourself think that this picture pretends to be fact. It is straight, unadulterated fiction pulled out of a script-writer’s hat. Of one thing you may be certain: no national peril can ever impend which the Warner Brothers are unable to cope with in triumph—on the screen. 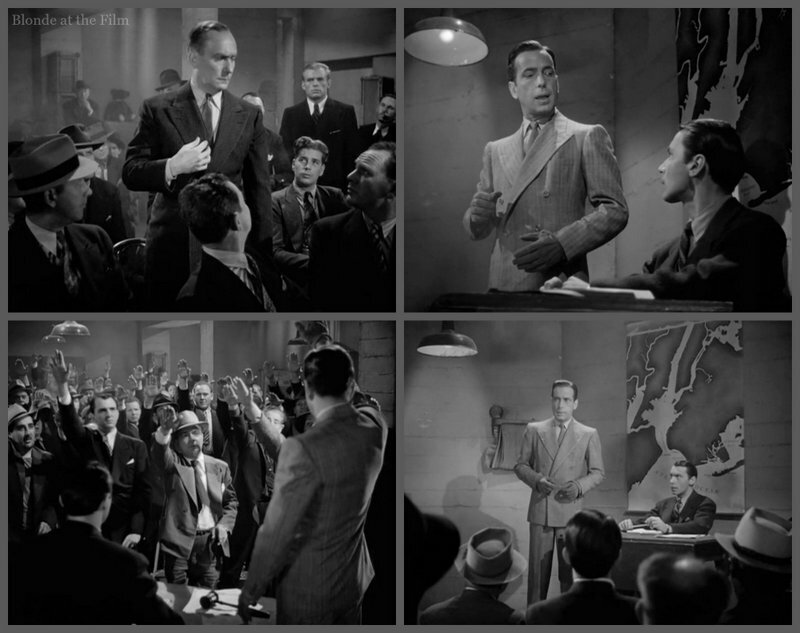 And now, in All Through the Night…the Burbank brethren are confronting a sinister Nazi spy ring with the most effective opposition that their studio has at hand—their own stock company of tough guys, Broadway sharpies and muggs, led by that ever-resourceful facer of situations, Humphrey Bogart. When the Warner gang swings into action, the Nazis don’t stand a chance, even with Conrad Veidt and Peter Lorre on their side. 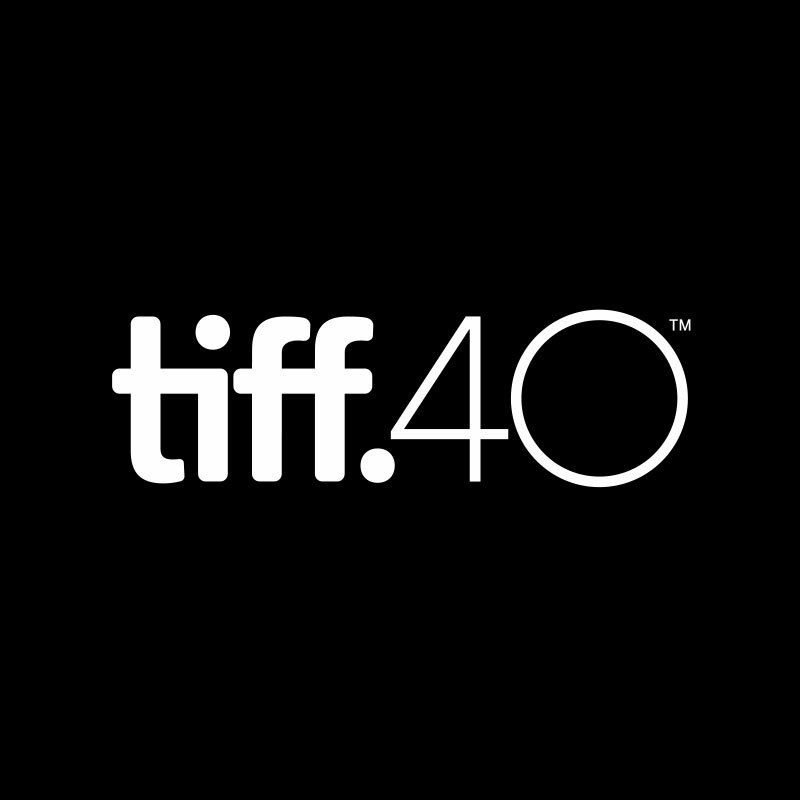 And although the consequent conflict is as wild as a cowboy-Indian fight, it makes for uncommon excitement and a roaring adventure film. In spite of its slap-bang construction and its hour-and-three-quarters length, the picture does move with precision and steadily maintained suspense…But most of the impact is generated by a series of knock-down fights and the usual business of groping nervously about in the dark. Other films have held up better, but that’s hardly this movie’s fault. It is dated and at times heavy-handed, but it was made to be stunningly topical and to deliver a strong message that is no longer relevant, and wasn’t even that necessary when the movie hit theaters in January 1942. But it succeeded in what it was trying to do: make a fun, funny thriller while educating the audience to the dangers of the Nazis in general and fifth columnists in particular. 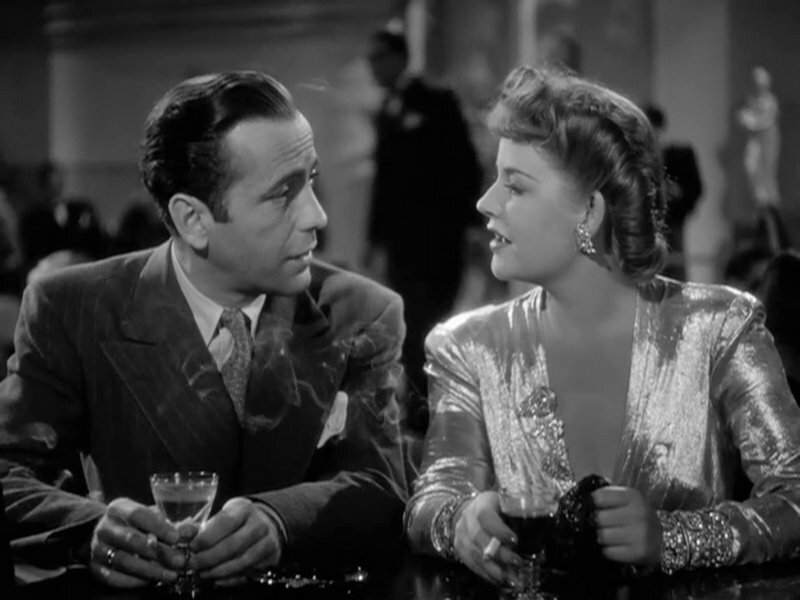 A much more timeless, top-drawer WWII melodrama called Casablanca went into production in early May 1942. 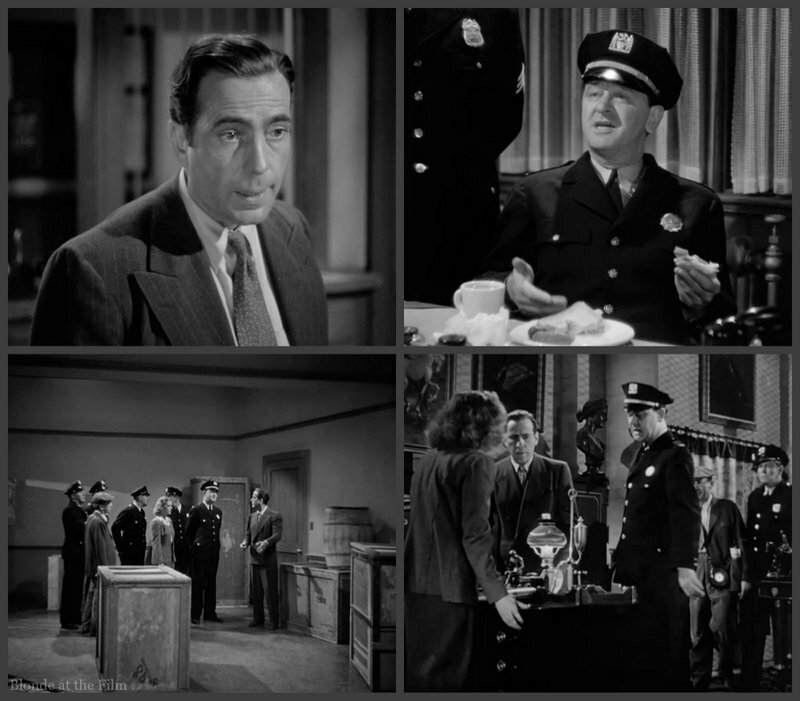 It reunited Lorre, Veidt, and Bogart in iconic roles. 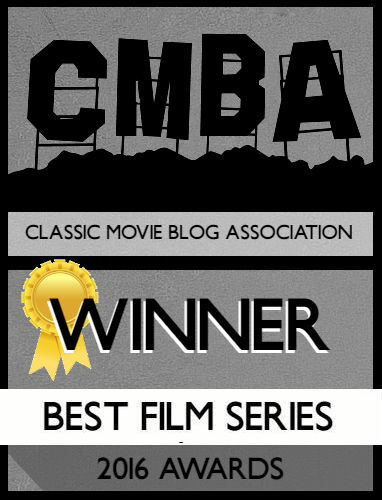 If you’re looking for a truly magnificent WWII film, go for Casablanca. But if you’re interested in movies made on the eve of America’s involvement in the war, All Through the Night is a fascinating choice. Here’s the trailer–enjoy! For more, follow me on Twitter, tumblr, Pinterest, Instagram at BlondeAtTheFilm, and Facebook, and you can buy this strange movie here . As always, thanks for reading! This is a good movie. I like William Demarest and Jackie Gleason in it. 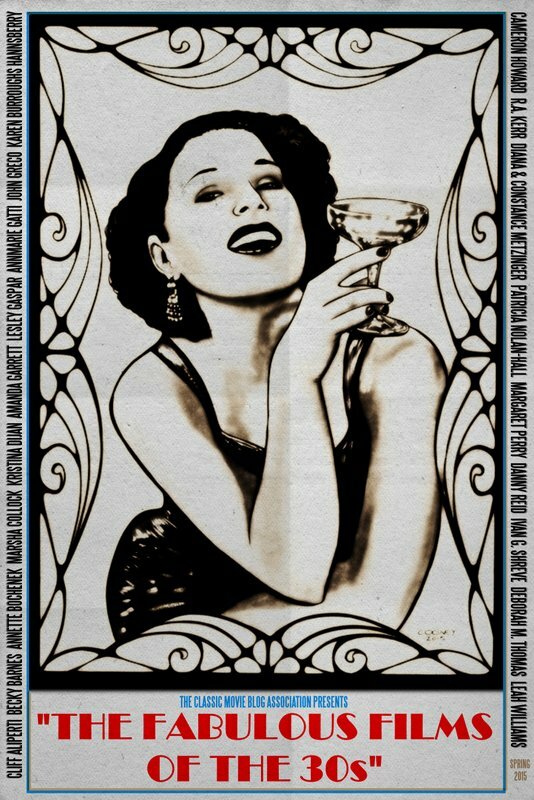 The 40’s jargon is colorful and more preferable to this dame than expletives. Bogey is great as always as Gloves, I like George Raft too and missed out on some choice roles, but they should ave let the dog escape. I agree about the jargon! And the dog! Thanks for reading! Fascinating and informative as always! I had to laugh about poor George Raft. Imagine passing on The Maltese Falcon! Thank you! I know–he made some terrible decisions! No kidding. A relative of mine joined the US Army in the 60’s and they asked him if he had ever fought for the Spanish Republican government. He hadn’t even been born then, but they wanted to know if he was a “premature anti-fascist”!! Apparently it was a widely used phrase, and it meant that if you fought the fascists before the Western powers did, you must have been a communist. Can you imagine? BTW, I read this story about Warner Bros. in the LA Times a few years ago and I can’t quite believe it. Have you read this anywhere? Thanks for this comment! I had heard about the arrow! There were very real fears of a Japanese invasion on the West Coast, and the studios all reacted in different ways. 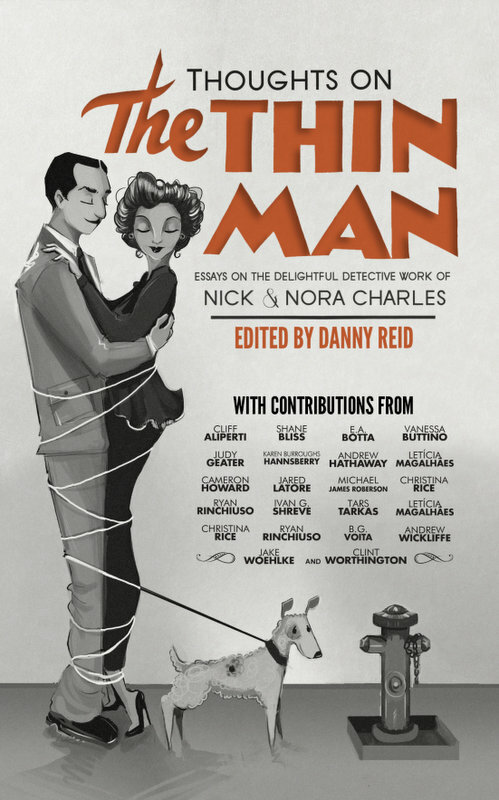 The book “Round Up the Usual Suspects: The Making of Casablanca” talks about a lot of this stuff and is a great read if you’re interested. As usual, thanks for reading! Bless you, Ms. Film! I’ve wanted to use this anecdote for ages but I was afraid I’d be laughed out of the room because it’s so improbable. I love that the sign was in English. & thanks for the book recommendation. I’ll check it out. 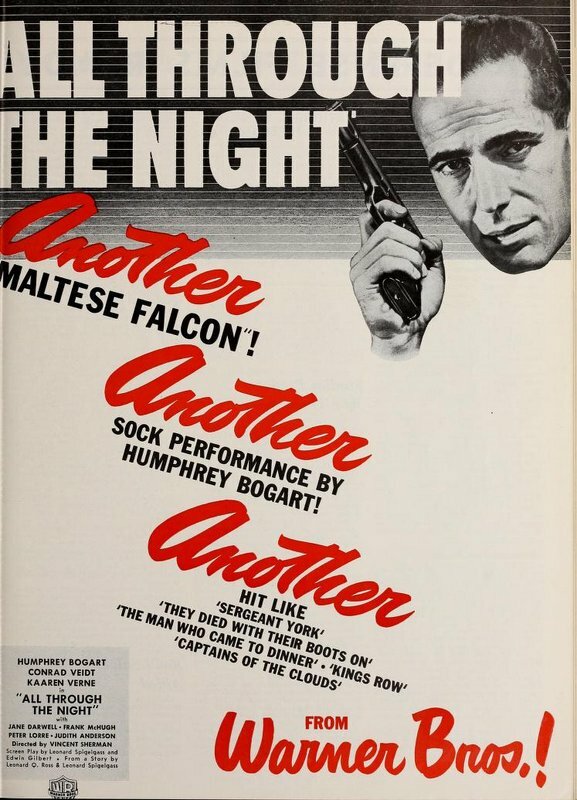 “All Through the Night” remains my favorite Humphrey Bogart film today, seeing it long before “The Maltese Falcon” and “Casablanca”. In fact, it was long before I had a VCR, and on my second viewing of it, I taped it onto audio cassette so I could listen to it like a radio broadcast. I am wondering, however, what you thought of the ending concerning “Madame” who goes off on Ebbing and calls him a fool at the end, prompting him to slap her. This seems to wake her up to the evil, and she tells Gloves where Ebbing is heading. Gloves turns her over to the cops but promises to put a good word in for her. Obviously as a spy in World War II, she wouldn’t be freed, nor would she be sent back to presumably her native country of Germany. 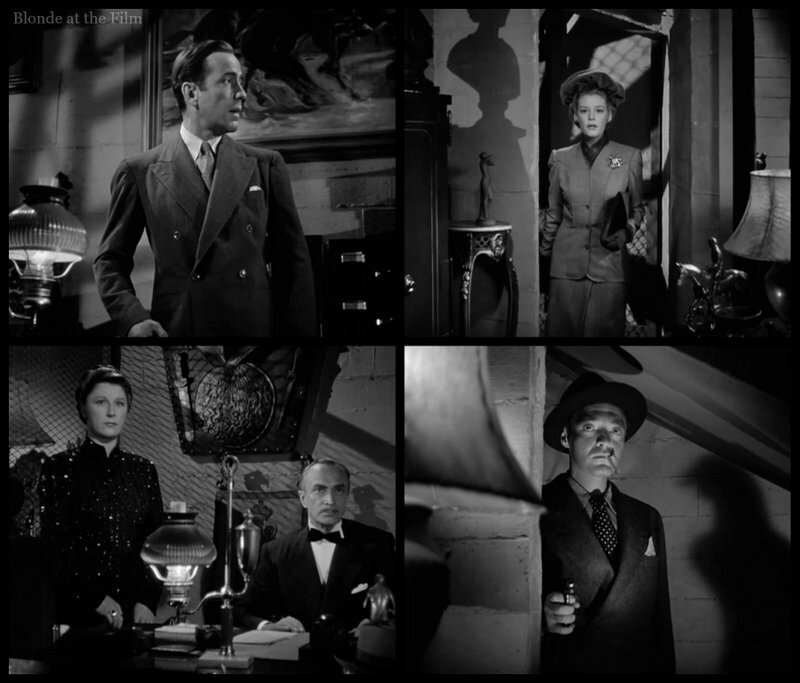 At least she doesn’t get the fiery end of Anderson’s magnificent Mrs. Danvers, the ostracizing she would get in “King’s Row” after husband Dr. Gordon’s death reveals his medical crimes, the fate of dealing with the sleazy Vincent Price in “Laura”, or being left to face the wrath of the Hebrews in “Salome” (among other great Judith Anderson film characters), so I’m glad she reformed at least a bit. It’s ironic that she doesn’t share any scenes with Jane Darwell who won the Oscar the year Anderson was nominated for “Rebecca”, although their involvement in the story is quite different. Great point about Anderson’s characters’ horrible endings! It would be great to have an epilogue on this movie about what happens to her, because as you point out, she does reform a little. She was so wonderful at playing creepy villains! Thanks for reading and commenting!